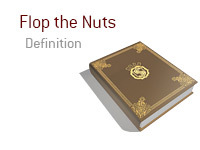 What does the term "flop the nuts" mean in poker? What is the definition of the term "flop the nuts" in poker? In poker, "flopping the nuts" refers to when a player flops the absolute best hand. 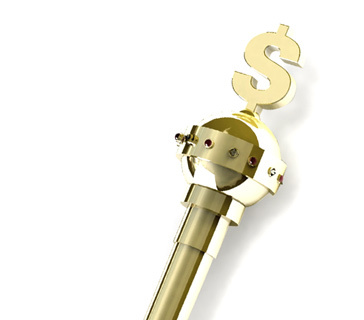 For instance - let's say that you are playing in an online cash game. A player raises from early position. You are on the button, and action folds around to you. You look down at 5d-7d and decide to make the call. The SB and BB both fold. The flop comes 4d-6h-8s, which means that you have "flopped the nuts". At this point in the hand, your hand is absolutely unbeatable. Now, if you have flopped the nuts, that does not mean that your hand will remain unbeatable after the turn and river cards have been dealt. For instance, in the hand above, let's that the player in early position held pocket Eights, which means that they flopped top set. If the turn brings the 6s, this would mean that you would be drawing dead, as your opponent would have hit a full house on the turn.